Faith, from Edible Mosaic and Andrea of From the Bookshelf , both wonderful and interesting ladies, have tagged me in the Seven Links blog tag that has been hopping around the internet. I know…I have been tagged before for those of you scratching your head and thinking to yourself, “I thought I tagged her…”. For those, I am sorry that I am not mentioning you here because I truly don’t remember which of you nice bloggers who tagged me. But I have finally decided to stop being such a party pooper and jump in with both feet. So here they are folks, the seven posts I have chosen for infamy. I have started with a sweet pic of my pup just because I wanted to. 1. Most Beautiful Post – I am not like some of you awesome photographer type bloggers out there who stage each dish, create the perfect lighting and have such a great eye for composition. 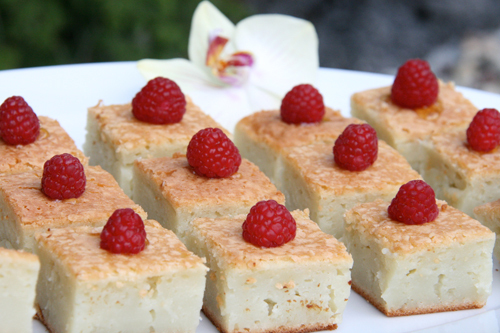 My husband and daughter both take better photos of my food than I do, but this particular day I was feelin’ it and think I took a great shot of the Coconut Mochi Cake if I do say so myself and this post happens to be my personal choice for it’s content as well. So this particular post is beautiful inside and out! 🙂 I am so humble. 2. 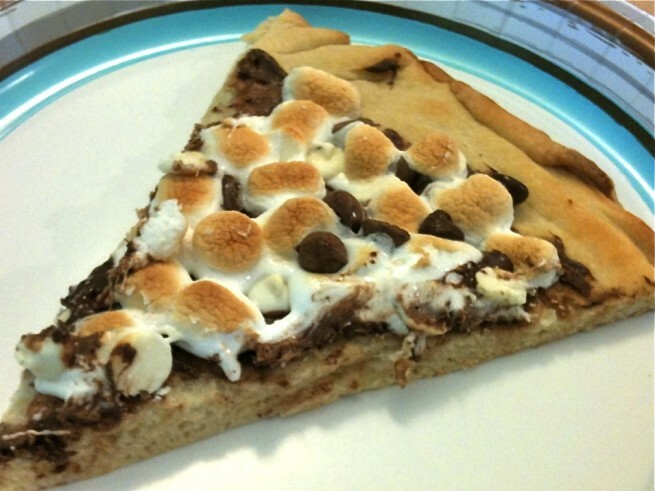 Most Popular Post – Hands down, it’s Max Brenner’s Chocolate Pizza. I really have the restaurant itself to thank for that because I think it drives the searches to my blog. People really want to re-create the magic of that chocolatey, marshmallowy slice of heaven. It was my first post and my photography skills and “food styling” were clearly lacking. First post, first photo, taken with an iphone and on a Dixie paper plate. Things have changed since then. 3. 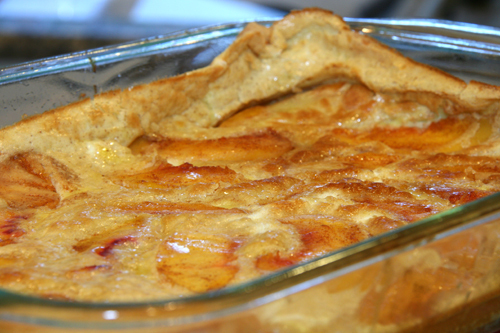 Most Controversial Post– Peachy Puffy Pancake. How could an innocent little Dutch “peach” pancake be controversial you wonder. Well, one commentor, Gracie, made it slightly controversial. For some reason I took her comment as a bit snarky, but now I am sure she meant no harm and wonder what my problem was that day. What can I say, I’m a bit over sensitive. Just be happy you’re not married to me. 4. 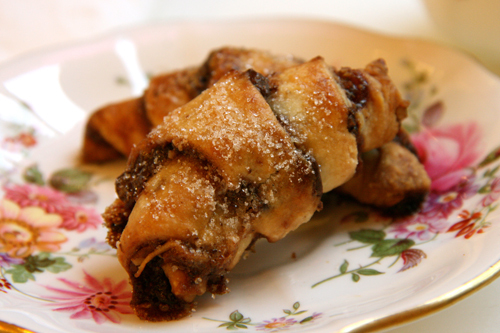 My most helpful post: I have not re-invented any wheels that I am aware of, but I think my Rugelach Unrolled post gets to the nitty gritty of rugelach making should you want to try it sometime and there’s not a teacher anywhere in Burbank who’s tried ’em that doesn’t love ’em. I force my daughter to bring these to her teachers at the holidays. 5. My most surprisingly popular post: Again, it’s not MY post or recipe that makes My Thin Mint Cupcakes so popular, but it’s those darn Girl Scout Thin Mint cookies that people are obsessed with I tell you. I know this because I was a Girl Scout leader for 8 years and people seriously buy cases of these things and hord them in their freezers. It’s a problem. 7. Post I am the Most Proud Of: That’s easy…it’s about my personal philosophy on life and is titled, “Cinnamon Rolls from the Kitchen of a Mother Hen.” I truly believe that every kid needs mother hens in their life and wish that I could stretch my wings around all of them. This post is a compliment to my mother, who is the MOTHER of all mother hens if you ask me. 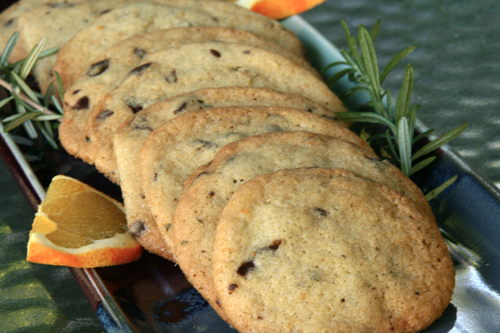 I’m so glad you joined in on the challenge as I’ve now found a few more great recipes from you! I do remember your rugelach post as the best in detailing the recipe!! And those cinnamon rolls..oh my I did promise myself to make those when a long weekend rolled around, and lucky me…there’s one this weekend!! Have a great labor day Geni! Well, I don’t think you’re a party pooper, but I’m glad you joined in because I missed a lot of these, like the cookies and the pizza. About your photography, it’s fine. I don’t like overly styled photos. It’s all about the food. Well, you have to have good lighting, but you know what I mean. Your dog is such a cutie too. Great post! Now I’m dying to look up that snarky comment! And the cinnamon rolls look delicious. I’ll have to check out the philosophy behind them. Great choices! I love that puffy peach pancake. 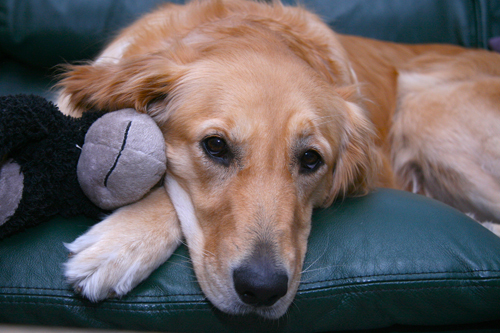 Your pup is adorable…I have a golden as well. I’m visiting home this weekend and can’t wait to see her! I’m sure I’ll share some photos too. Us dog lovers can’t resist it, huh? Anyways, you picked some great posts for the challenge. I literally walked right by Max Brenner’s when I was in NY a few weekends ago, but we didn’t have time to pop in. I’m really regretting that decision now! Also, I agree with Greg, it’s more about the food than the photos! These all look excellent, Geni! I’m so glad you played along. I’ve been tagged several times and I’m finally going to write a post this weekend. I’m off to go check out your links. Those cookies sound great and the cinnamon rolls look like pure heaven. wow, you’ve had some great posts! And you should give yourself some credit…your photos are great! I’m so glad you posted this! There are some recipes here I haven’t seen. I’m gonna have to go back and look at them. Precious pup. So pleased you decided to join in on the fun! Great roundup! What great looking recipes! I found so many new ones to bookmark and try 🙂 I’m so glad you decided to participate and we got to see all these tasty goodies! I’m a bit late reading my email and trying to catch up. I love the 7 links post because it show cases recipes that I may have missed or not have read because I am a new follower. You have some lovely recipes that my kids would just go crazy for. I know where to turn to for dessert recipes! lol Have a wonderful weekend! Food styling is not my strong suit, either. But all of these posts look great to me! And the pup is just adorable. Enjoy your weekend, Geni! Great picks! Adorable pup! Printing the rugelach now! Yum, everything looks delicious! 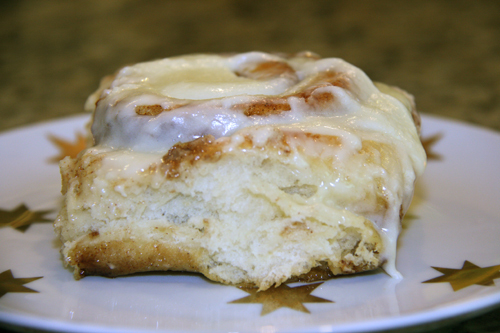 Those cinnamon rolls look so sweet and doughy – perfect! i love seeing everyone’s 7 posts. your picks look so delicious! haha and i was totally crazy over the mint chocolate girl scout cookies too. 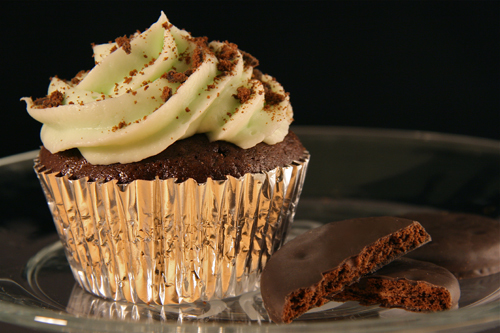 I think my favorite has to be the Thin Mint Cupcakes, love the beautiful image of the cupcake.